Empty walls will equal a boring office. It sounds harsh, but it’s true — you need a colorful or large, vibrant piece to bring life to a room. Don’t let your office become a slow and dull place to work! In the Houston area, SpeedPro Imaging Magnolia will work with you to create a large format wall mural to complete the look of your business. 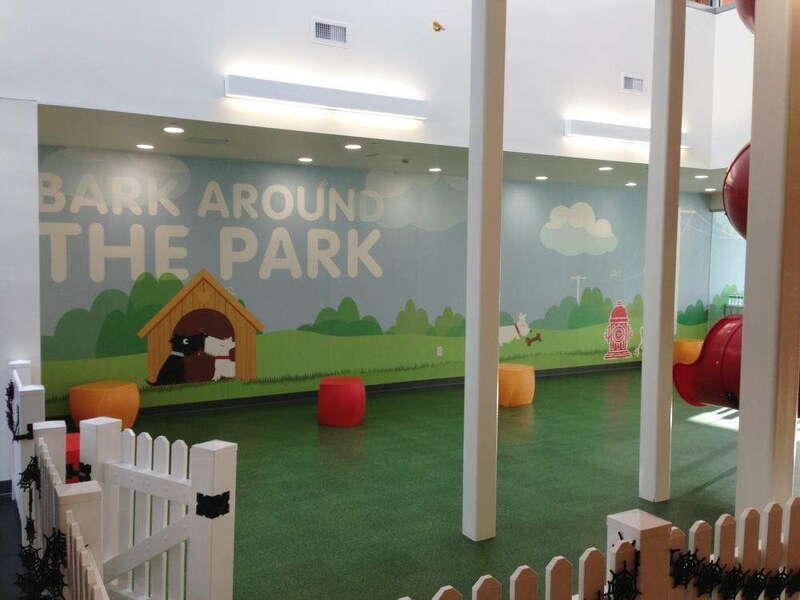 Whether you need one mural or several small ones, our studio will create the perfect visual for you. We’ll meet with you one-on-one to determine what your office needs for a solid and welcoming atmosphere. If your office is located in Magnolia and you want to redesign its interior, contact us today! 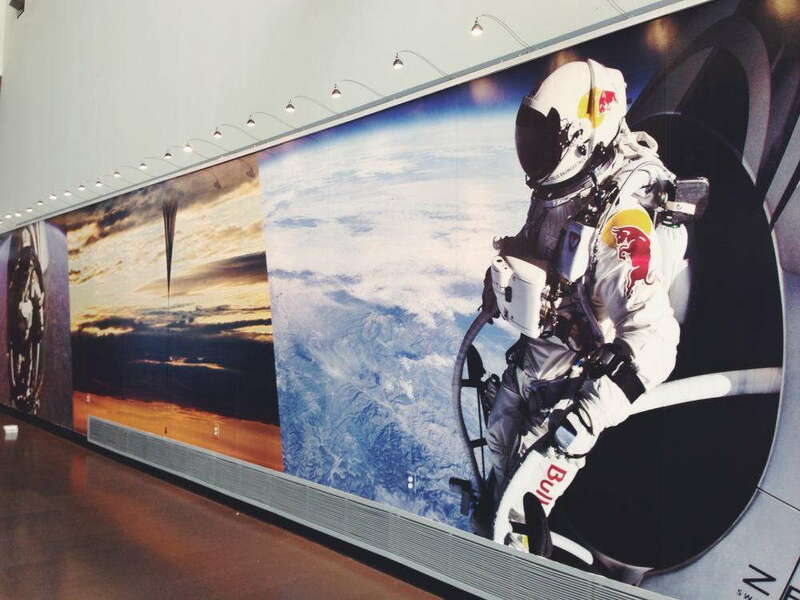 Wall murals show power and beauty in their ability to dominate the entire space they’re situated in to dramatically represent a brand. Their vividly printed colors help contribute to their presence in a work area. Think about places you’ve been to that have had a welcoming or calm or energetic atmosphere about them — they probably all had well-positioned wall murals! A doctor’s office will display a serene beach or tropical scene in the waiting area. University and professional athletic rooms tend to have murals of collage scenes, like past record-holding players or an embodiment of their team’s spirit and success. In our consultation, our skilled team will be able to identify what your business is looking to represent and how we can translate that brand onto your mural. This display can feature a service, a product or just the energy and motivation behind your employees. Whatever it is, we’ll make sure we get it right the first time around. When you decide on a design for your wall mural, we’ll need to know the dimensions of your wall space. You can create a mural as big as you’d like, but there’s a possibility that we’ll have to cut the entire piece into segments so that it fits our printing standards. As far as design decisions, that’s all you! The vinyl material we use for our wall murals ensures durability and lasts for years. At SpeedPro Imaging Magnolia, we offer a range of adhesive options that will adjust the length of time your mural stays attached to your wall. If you’re looking to keep it up for a long time, we’ll make sure we pair it with the proper adhesive so that you don’t find yourself needing an early replacement. 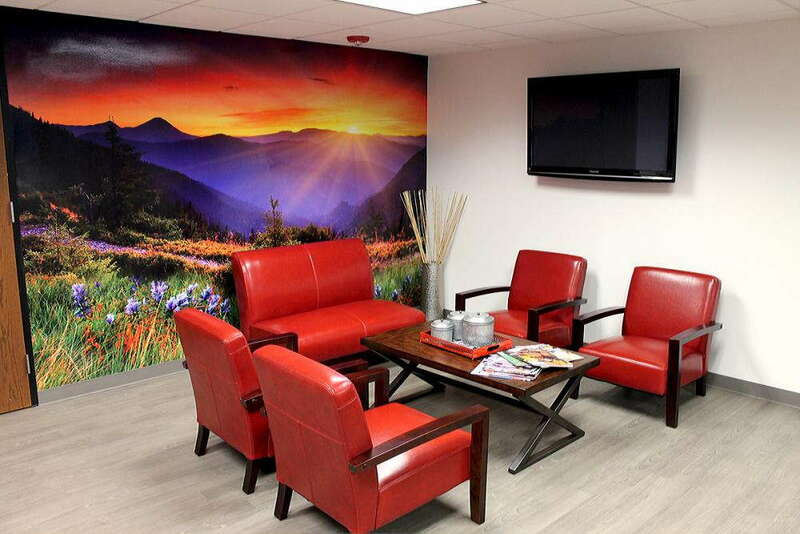 The finish of your mural will contribute to the power and prominence it holds in your office space. If it will be in direct lighting, you may prefer to have it finished in satin so that the light will shine and not directly produce a glare. This characteristic is another one we can discuss during our consultation to make sure we match your vision. Do you think you’re ready to tie together your office space with our large format printing? If so, contact us at our studio! We look forward to the consultation and designing process to make your office a more vibrant and warm place.